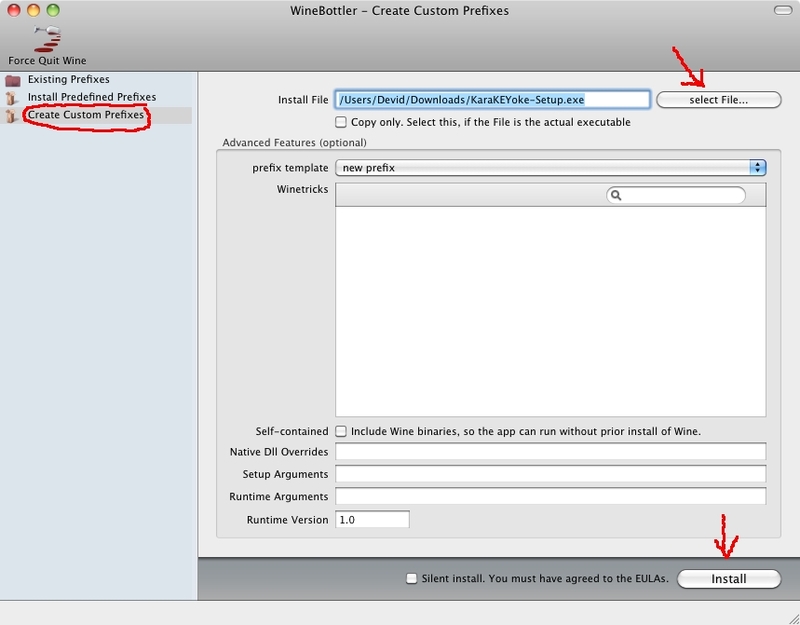 Install WineBottler and run it. 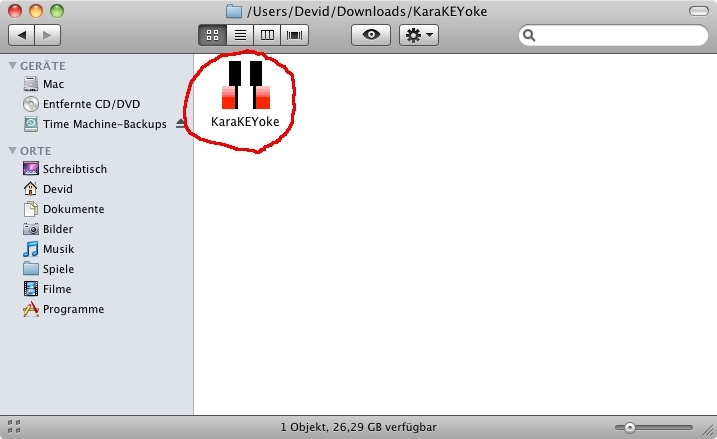 Save As: KaraKEYoke and select a Folder, you wish to create the prefix. Click "Save" and wait WineBottler finished the installation. Connect your Keyboard to an USB-Port an power up. You can try WineHQ if you face any problems with WineBottler. Thank Devid Gockel for providing this guide. It was tested with Mac OSx 10.6.8 (Snow Leopard).